Pamplin Media Group - Happy Birthday America! Could you pass the citizenship test? Happy Birthday America! Could you pass the citizenship test? Quick: name three of the 13 original states. That's one of the questions a prospective citizen might be asked as part of the naturalization examination to become a U.S. citizen. The issue of immigration is roiling the nation. But putting the politics and the long, complicated process of becoming a citizen aside, what is the naturalization exam like? (Questions and answers at the end of this story). 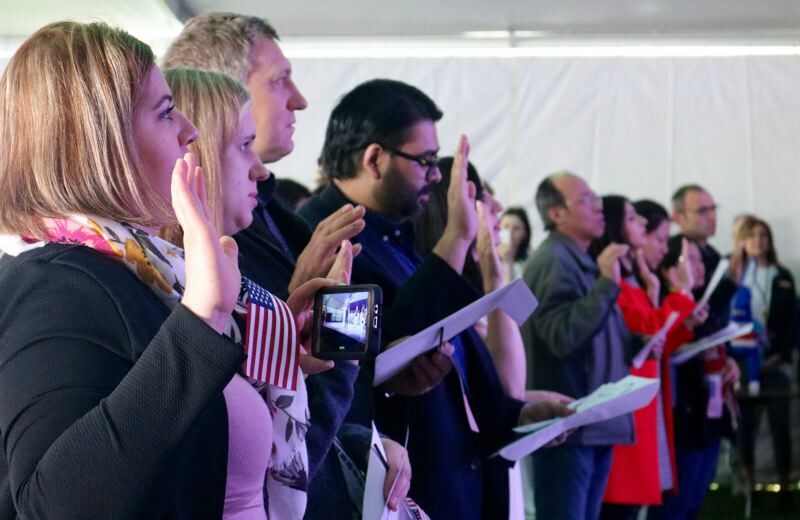 "The test can be most challenging for those who are emergent English language learners or have experienced interrupted education in their past," says Angie Kelly, education coordinator and citizenship instructor for SOAR Immigration Legal Services, a wing of the Ecumenical Ministries of Oregon. Sharon Rummery, a press officer for the U.S. Citizenship and Immigration Services, says the entire interview generally take only about 20 to 30 minutes, but admits it can be stressful for folks. "Most people who don't pass, it's because of their English skills," Rummery says. Kelly explains that there are four parts to the citizenship examination: speaking, reading, writing and the civics questions. Applicants for citizenship have to fill out a complex 20-page form called the N-400. Prospective citizens then have to orally answer questions, almost always in English, on their N-400 form. "This is the most difficult part of the interview," Kelly says. "The N-400 questions are the most difficult for an English language learner. They make people the most nervous." This component of the test is to determine "can you hold a conversation, can you understand what I'm asking, can you speak English well enough to answer?" Kelly says. "They also have to have the skills to know how to ask for clarification on the N-400 questions." For example, one question might be "do you have a hereditary title in a foreign country?" which could be confusing for prospective citizens, she points out. Asking for clarification might get the examiner to rephrase the question to "are you a king or queen in your country?" which could be easier to understand. The prospective citizen also has to read some sentences in English and pass a writing test. The themes of the reading and writing center on U.S. history or civics. To pass the writing test, the naturalization examiner will dictate some sentences and the applicant must write them out accurately. Then there are the civics questions. There are 100 questions and answers the applicants have to study. "It is a lot of memorization," Kelly says. Much like a written exam for a driving test, the examiner won't ask all 100 questions, but the applicant doesn't know which will be asked. The examiner will ask as many as 10 questions orally, and the applicant must answer six correctly. If she answers the first six right, that satisfies the test and no more questions are asked. If the applicant can't answer six of the 10 questions correctly, "then you have to come back in a couple of months and try again," Rummery says. 1. Name one U.S. territory. 2. Name one of the two longest rivers in the U.S.
3. Who was President during WWI? 4. What did Susan B. Anthony do? 5. Name one war fought by the U.S. in the 1800s. 6. What is one thing Benjamin Franklin is famous for? 7. Name one writer of the Federal Papers? 8. What is the name of the Speaker of the House of Representatives now? 9. Under our Constitution, some powers belong to the states. What is one power that belongs to the states? 10. Who is the Chief Justice of the United States now? 11. The House of Representatives has how many voting members? 12. How many amendments does the Constitution have? 1. The U.S. territories are: Puerto Rico, U.S. Virgin Islands, American Samoa, Northern Mariana Islands and Guam. 2. The two longest rivers in the U.S. are the Missouri and the Mississippi. 3. The President during World War I was Woodrow Wilson. 4. Susan B. Anthony fought for women's rights or fought for civil rights. 5. The wars fought by the U.Sl in the 1800s were: The war of 1812, the Mexican-American War, the Civil War and the Spanish-American War. 6. Benjamin Franklin was famous for: being a U.S. diplomat, the oldest member of the Constitutional Convention, first Postmaster General of the United States, writer of "Poor Richard's Almanac" or started the first free libraries. 7. The Federalist Papers were written by James Madison, Alexander Hamilton, John Jay or Publius. 8. The Speaker of the House is Paul Ryan. 9. Under the Constitution, the powers belonging to the states are to: provide schooling and education, provide protection (police), provide safety (fire departments), give a driver's license and approve zoning and land use. 10. The current Chief Justice of the U.S. is John Roberts. 11. The House of Representatives has 435 voting members. 12. The Constitution has 27 amendments. Answer to first paragraph of story. The 13 original states were: New Hampshire, Massachusetts, Rhode Island, Connecticut, New York, New Jersey, Pennsylvania, Delaware, Maryland, Virginia, North Carolina, South Carolina and Georgia. 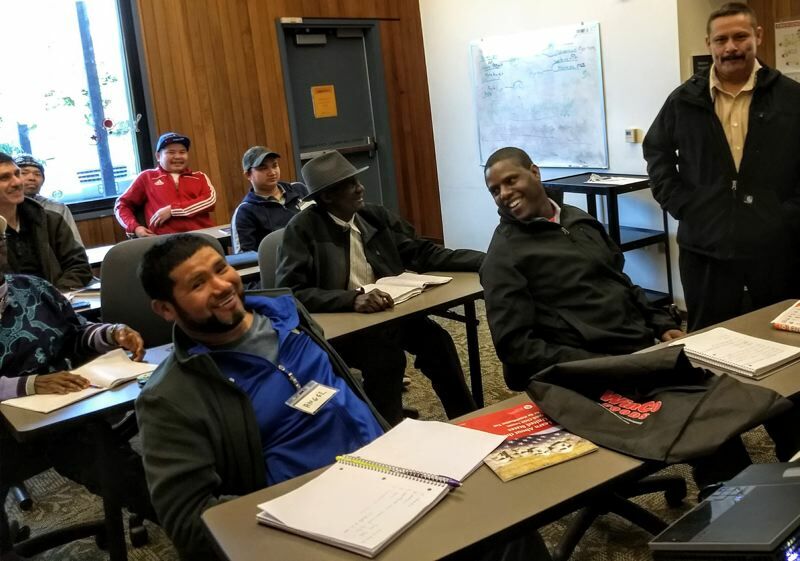 Ecumenical Ministries and Sponsors Organized to Assist Refugees hold free classes regularly in our area to help people prepare for the naturalization exams. They and other organizations can also help prospective citizens with the complicated N-400 form. A new citizenship class started this month at the Rockwood Library. It is held rom 12:30 p.m. to 3:30 p.m. Sundays through Sept. 30, at 17917 S.E. Stark St. For more information call 503-384-2482, ext 116. 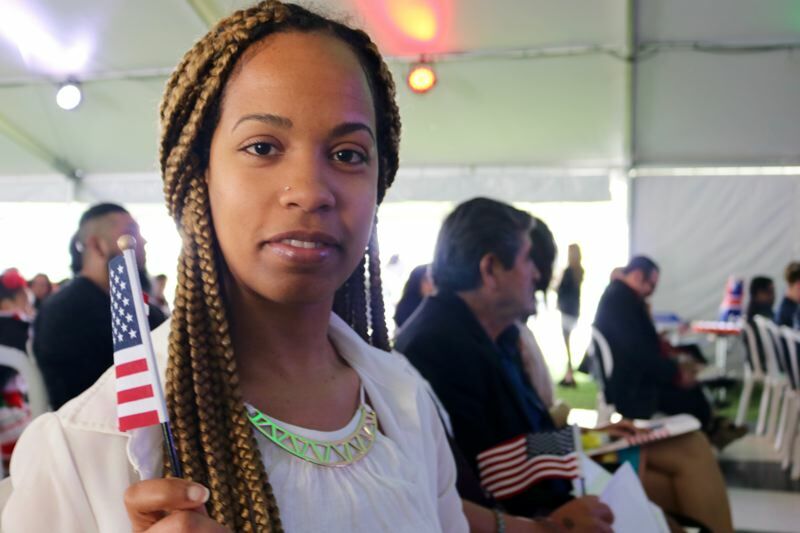 The class is for people interested in becoming U.S. citizens and will help them study English reading, writing and speaking, and U.S. history to prepare for the naturalization exam and interview. Study materials are also free. People can join the free class anytime.